DEAR MAYO CLINIC: My husband often doesn’t bother to put in his dentures when eating at home. Chunks of food get stuck in his throat from time to time. They eventually pass, but it’s still worrisome. Is this dangerous? 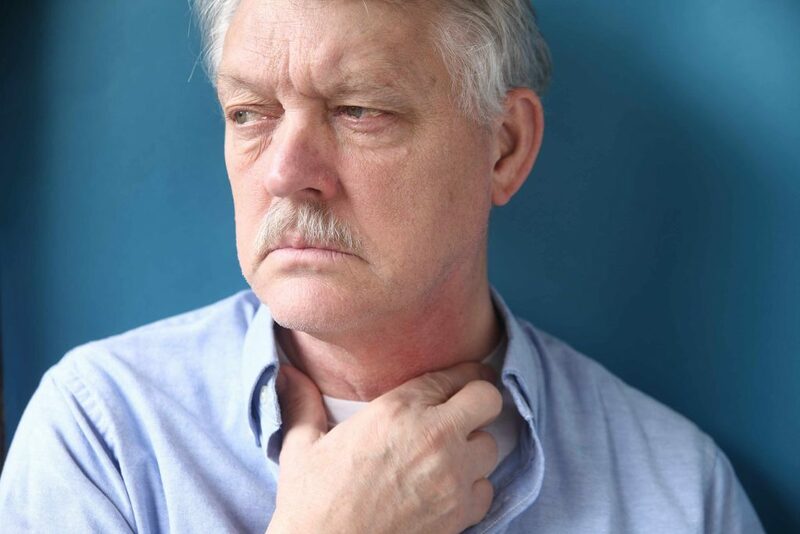 ANSWER: The condition you describe is called a food bolus impaction and is sometimes referred to as “steakhouse syndrome.” When harder or more solid foods, such as pieces of meat or harder pieces of vegetable, aren’t chewed sufficiently and are swallowed, they can get caught in one of the two tubes that run down the neck — the windpipe (trachea) or the food pipe (esophagus). It’s of immediate concern if the food piece is blocking the trachea, as it can lead to life-threatening choking. If the food piece is lodged farther down the esophagus, it won’t interfere with breathing or talking. The person is usually well aware that food is stuck. It’s uncomfortable and can cause chest pain that feels like a heart attack. The person can’t swallow anything, including saliva, and may need a cup or towel to contain drooling. A food bolus impaction can become unstuck without any intervention. However, it’s also not an uncommon reason for emergency department visits. A food bolus impaction lasting more than about 12 hours raises the risk of serious problems, such as perforation of the esophagus. An endoscope may need to be carefully inserted into the throat and then the esophagus to push the food along to the stomach, or grasp and pull the food out by way of the mouth. Food bolus impaction is more common in older adults and in men. Having dentures is a risk factor, perhaps because it’s more difficult to chew with dentures than with natural teeth or anchored implants — or because dentures aren’t worn while eating. Alcohol consumption is associated with an increased risk of food impaction.